This page is under construction, as of April 2018. Today’s Wallingford neighborhood landscape reflects a range of residential architectural styles that were popular throughout the United States during the late 19th and early 20th centuries. Descriptions of these styles, examples found in Wallingford, and a list of suggested readings are provided below. This style is defined by its complex form and various wall claddings. It has subtypes that include the earlier Eastlake, with ornamental spindlework detail often called gingerbread, and later Free Classic variations, with classical columns and Palladian windows. Features: 1-1/2 to 2-1/2 stories in height; steeply pitched roof with complex form; irregular plan; typically executed in wood; asymmetrical design; busy wall textures with clapboards, shingles or half-timbering, particularly in the gables; tall, narrow wood windows are typical; bay windows; earlier examples have a front porch with spindlework, turned balusters; later examples have a front porch with classical columns. This style borrows from other popular styles of the late 19th century, including Romanesque Revival, Queen Anne, Neoclassical, and Colonial Revival. Unlike these styles, the Shingle Style does not emphasize details at the windows and porches, but rather emphasizes its smooth, continuous wall surfaces. It was most popular in New England between 1880 and 1900, but Pacific Northwest examples were built in the late 1890s and early 1900s. Features: 1-1/2 to 2 stories; steeply pitched roof; exterior wall surfaces of continuous wood shingle cladding; no corner boards; asymmetrical design; decorative detail is often minimal; some have a tower or half-tower; some have curved wall surfaces at prominent window openings, bay windows, or at corner towers. The 1876 Centennial Exposition in Philadelphia ignited interest among architects and designers in the American colonial period, particularly English and Dutch traditions. Colonial Revival houses were new interpretations of early American architecture, and it eventually overtook Queen Anne as “the dominant style for domestic building throughout the country during the first half of the twentieth century,” (McAlester 2013, 414). Indeed, Colonial Revival houses are found all over Wallingford. There many subtypes of the style, most defined by their roof form and porch placement. Most popular subtypes have a side-gabled or hipped roof and a centered entry porch or a full-width porch. Gambrel-roof examples, known as Dutch Colonials, are quite common in Wallingford and are described in more detail below. Features: 1-1/2 to 2 stories; typically, but not always, has a symmetrical or well-balanced façade; accentuated primary entrance, usually with a projecting, pedimented entry supported by rounded columns; sidelights and fanlights commonly found at entry door; multi-light, wood sash windows; rooflines can vary, but many Wallingford example have a side-gable roof; single-story side porches are common. This style is loosely based on the earlier Dutch-influenced colonial-era architecture. It is defined by its double-pitched roof and colonial details. Most examples are one story with a steeply pitched second story that contains almost a full second story of interior space. Wallingford has many Dutch Colonial-style residences, including those with a front-facing gambrel – often built on a narrower lot – and those with a side-facing gambrel. American architectural historian Virginia Savage McAlester describes this style as “the dominant style for smaller houses built throughout the country” from about 1905 to 1930. (McAlester 2012, 568). The Wallingford neighborhood developed during this period and has a rich collection of Craftsman bungalow residences. Features: one to two stories; low-pitched roof, usually a front-facing or side gable; overhanging eaves with exposed rafter tails; decorative beams and brackets at the roofline; a partial or full-width front porch with a roof supported by battered square columns, often made of stone or brick; exterior cladding is most often wood shingle or clapboard, but brick and stucco also are found in Wallingford. Ochsner, Jeffrey Karl, ed. Shaping Seattle Architecture: A Historical Guide to the Architects, 2d ed. Seattle: University of Washington Press, 2014. Fifty-four essays placing Seattle architecture and development in national and global contexts. Ore, Janet. The Seattle Bungalow: People and Houses, 1900-1940. Seattle: University of Washington Press, 2007. Goes beyond architecture to discuss social history, with a focus on Wallingford. Swope, Caroline T. Classic Houses of Seattle: High Style to Vernacular, 1870-1950. Portland, OR: Timber Press, Inc., 2005. A comprehensive overview of the city’s major residential architectural styles. Washington Department of Archaeology and Historic Preservation (DAHP). Architect Biographies. This website includes biographies of architects and designers who have worked in Washington. Architectural Style Guide. This website includes examples of styles found throughout the state. Woodbridge, Sally Byrne. 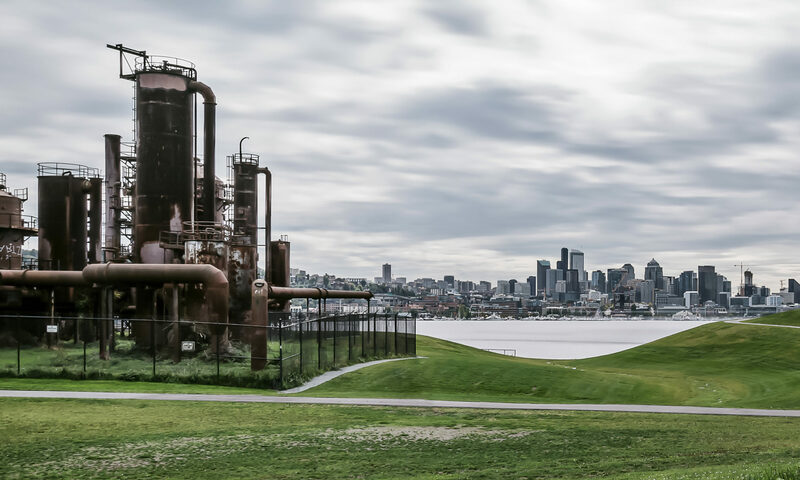 Guide to Architecture in Washington State: An Environmental Perspective. Seattle: University of Washington Press, 1980. Gottfried, Herbert, and Jan Jennings. American Vernacular: Buildings and Interiors, 1870-1960, rev. ed. New York: W. W. Norton & Company, 2009. With many illustrations, this book interprets vernacular architecture as it emerged with the industrialization of building materials. Gowans, Alan. The Comfortable House: North American Suburban Architecture, 1890-1930. Cambridge, MA: MIT Press, 1989. Architectural history specializing in the variety of styles of this period, with illustrations. Longstreth, Richard. The Buildings of Main Street: A Guide to Commerical Architecture. Walnut Creek, CA: AltaMira Press, 2000. A style guide with illustrations. McAlester, Virginia Savage. A Field Guide to American Houses. New York: Knopf, 2013. A style guide with illustrations and rich historic context.